into the wood’s gloom, staring back at the blue flowers on stalks thin as threads. dead; and a dead duck, head sunk in the water as if diving. The tide is out. 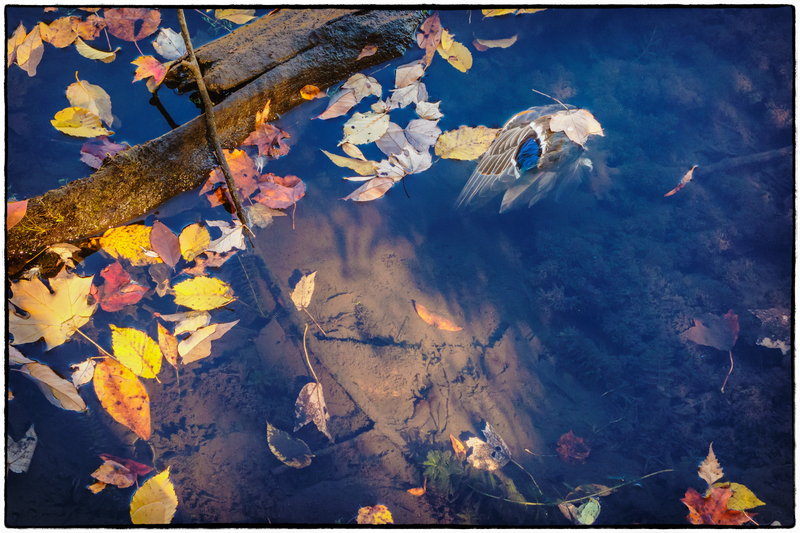 Only a pool is left on the creek’s stinking mud….. Extract from “Sunday Walks in the Suburbs” in “The Poems of Charles Reznickoff 1918-1975“.